Phil Eggtree summons Diz to fight the opposing Pokemon. 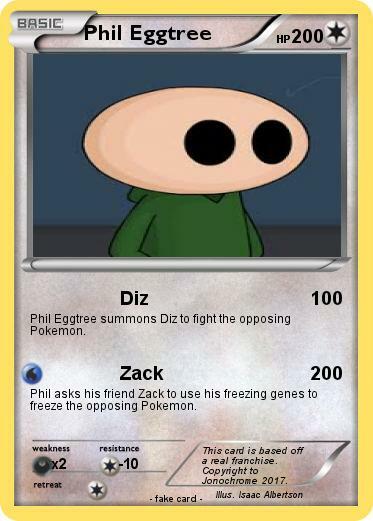 Phil asks his friend Zack to use his freezing genes to freeze the opposing Pokemon. Comments : This card is based off a real franchise. Copyright to Jonochrome 2017.